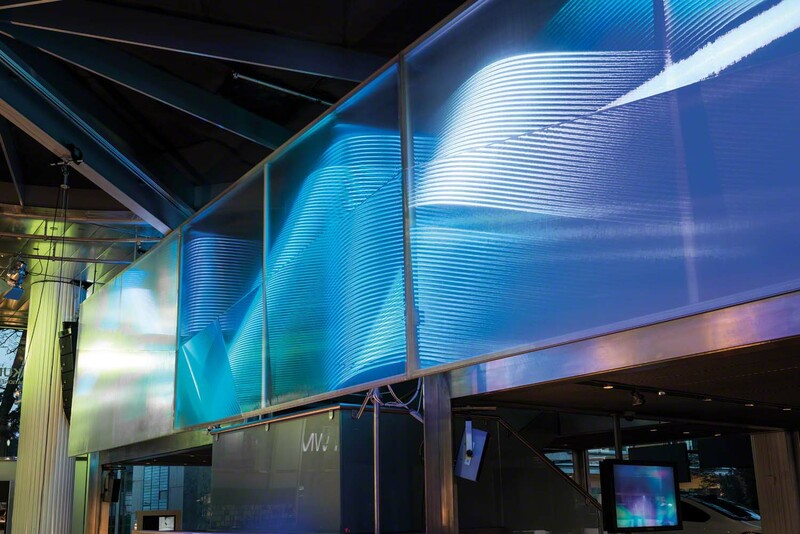 The Barrisol® ELT®3D product range provides an exceptional, illuminated 3D effect by harnessing the light produced by the LEDs in the woven fabric (in a diagonal or square pattern, etc.). 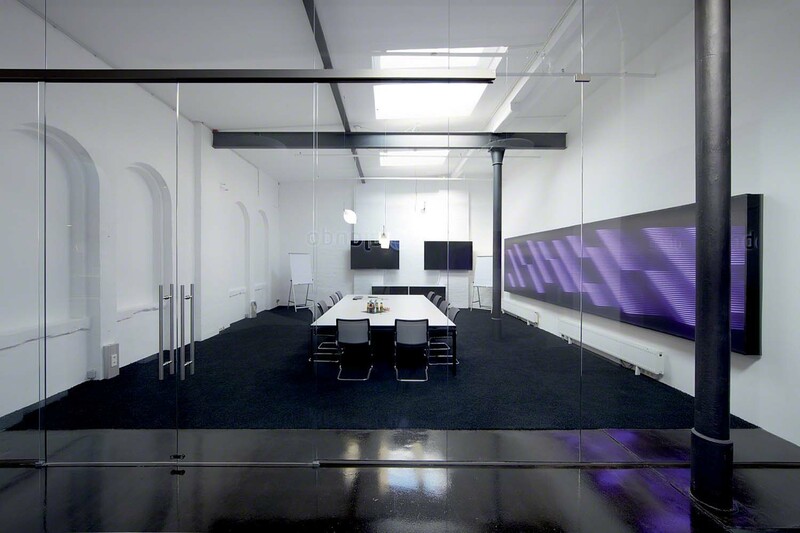 ELT®3D products can also be used as an acoustic solution, incorporating a specially adapted sound absorber (acoustic light). 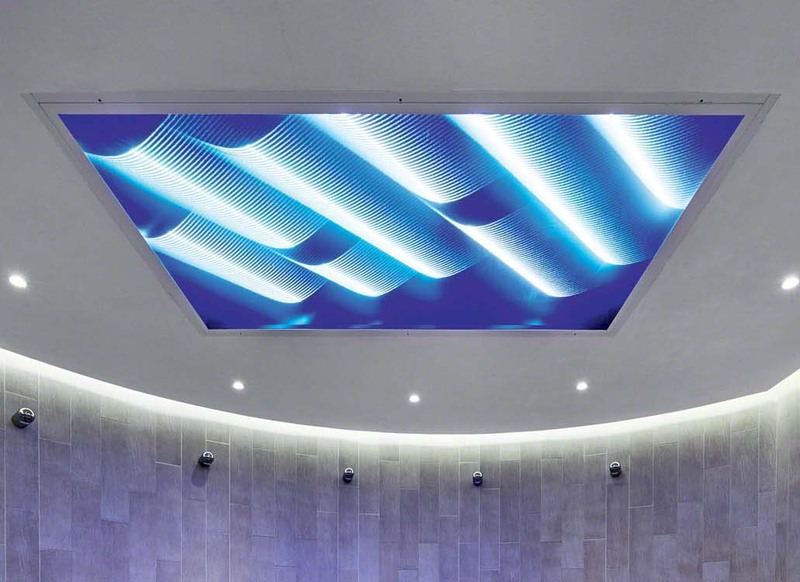 Used as a single, illuminated ceiling, ELT®3D products can increase the apparent height of your ceiling by up to a metre – while taking up only a few centimetres in thickness. 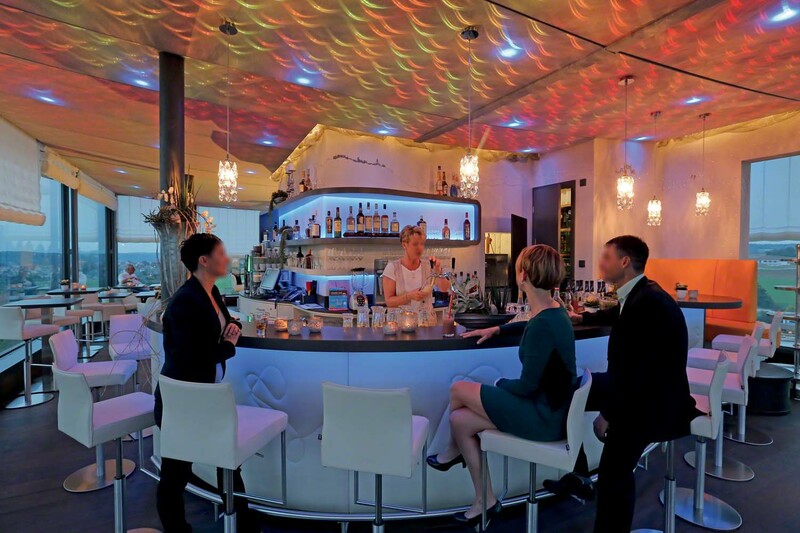 Wherever you use it, ELT®3D works to create a harmonious atmosphere and a real sense of well-being in any environment. This forms a beautiful decorative element. Create 3D shapes to catch the eye and increase the sense of space in a room. Create your own design according to the light source, its position and how it is programmed. With five amazing effects, the ELT®3D technical textile will determine the sense of depth that is created due to the position of the Leds. These products can be attached to walls and ceilings, using peripheral fastenings on wall sections or custom hanging frames. 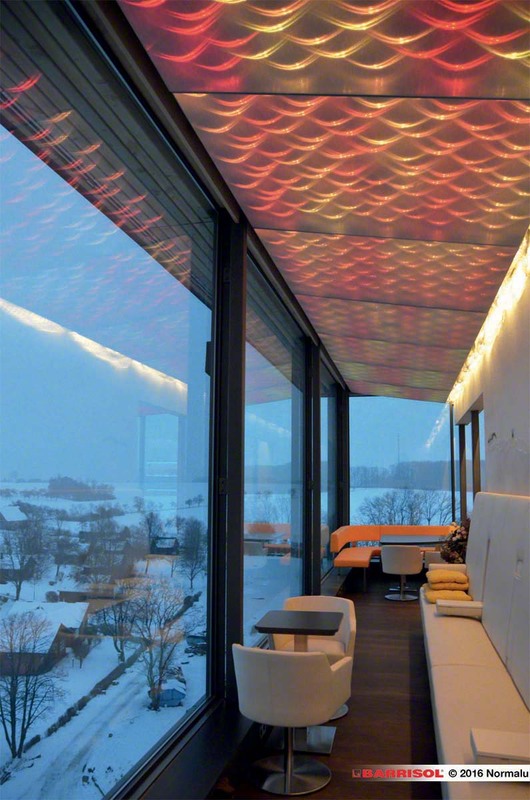 When used as a modular lighting platform integrated into your wall or ceiling, ELT®3D can bring a whole new dimension to your space. With these products, your options are unlimited.